This year twelve events go to make-up the Hampshire Golf Order of Merit. Click here for the list of qualifying events. The Bramshaw Open is a new addition to the list, to be played on Friday 19th July. Players can select their best seven scores to count for the OM plus additional points on offer for the Solent Salver and Cole Scuttle. Hayling Golf Club has agreed to host the Hampshire Open Champion for the longterm, a major boost for this prestigious tournament. The OM season begins with the Delhi Cup at Hockley Golf Club on Saturday 18th May, click here for an entry form. Click here for the latest standings after two events (after Corhampton Junior Open). Click here for the list of Qualifying Junior Opens. Congratulations to Aman Uddin (Meon Valley) and Elliot Thomas (Bramshaw), who have won the Hampshire Golf Junior Tour Order of Merit for 2018. Aman takes the gross prize and Elliot wins the nett prize. Aman played in nine of the fourteen qualifying events, which must be one for the record books. The final event of the Junior Tour season was cancelled when heavy rain closed Brokenhurst Manor Golf Club, the second time the event had been called off. Congratulations to Blackmoor's Colin Roope. Colin has won the Hampshire Golf Order of Merit for 2018. Click here to see the final OM placings. The OM season is extended this year after the Brokenhurst Manor Junior Open was washed out on 16th August. It will now be played on Sunday 14th October. If you'd like to play please contact Mark Gillard on 01590-623332. Click here to see the latest OM standings (as of 1st September). Congratulations to Tom Robson (Rowlands Castle) on winning the Gross Order of Merit. Click here to see the Top 10 in the Final Gross Standings.  Sam Parsons (Blackmoor) won the Nett Order of Merit. A list of 2018 OM events will appear here shortly. Congratulations to Tom Chalk (Hockley) on his victory in both the gross and nett Order of Merit. Tom finished ahead of Jamie Markwick (Corhampton) to win the gross title by just two points. Congratulations to Blackmoor's Colin Roope, who has won both the 2016 Gross and Nett Hampshire Golf Order of Merit. Blackmoor’s Colin Roope has become the first player to land both the Hampshire Order of Merit titles in the season – having become just the second name on the Cullen Quaich after Hayling’s Darren Walkley grabbed the gross prize in the competition’s first two seasons. Walkley’s decision to join the pro ranks back in July denied him a realistic chance of a hat-trick with the best five results in the 11 eligible scratch tournaments counting. But with bonus points awarded for the players’ performance in the Solent Salver – for the best 72-hole aggregate in the Stoneham Trophy and the Mike Smith Memorial and the Cole Scuttle – Roope had to wait until the Courage Trophy scores had been added earlier this month to the 36-hole qualifier at June’s county championship to be certain of completing the double by claiming the nett Order of Merit as well as the gross prize. Roope only switched from Farnham Golf Club to Blackmoor at the start of the year having moved down the A3 to Clanfield. 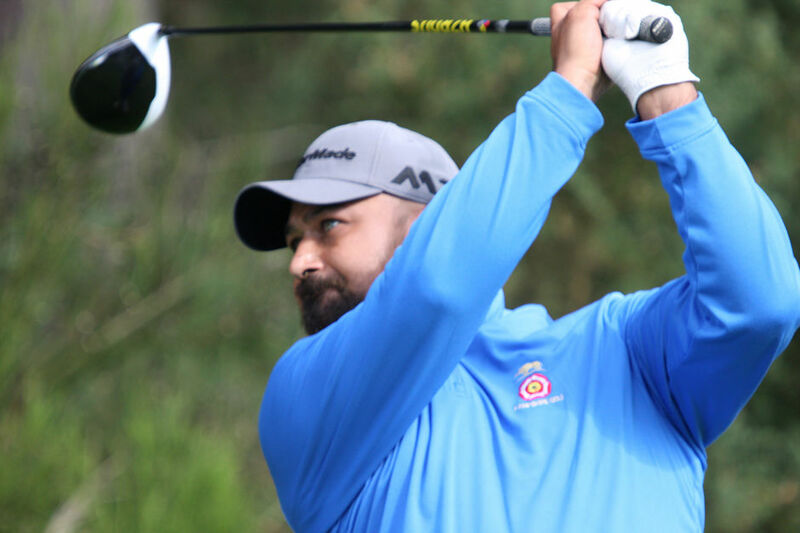 The 36-year-old recruitment company director needed a second place finish at his club’s open held at the end of August to secure a lead going into the Courage, the final strokeplay event on the county calendar. 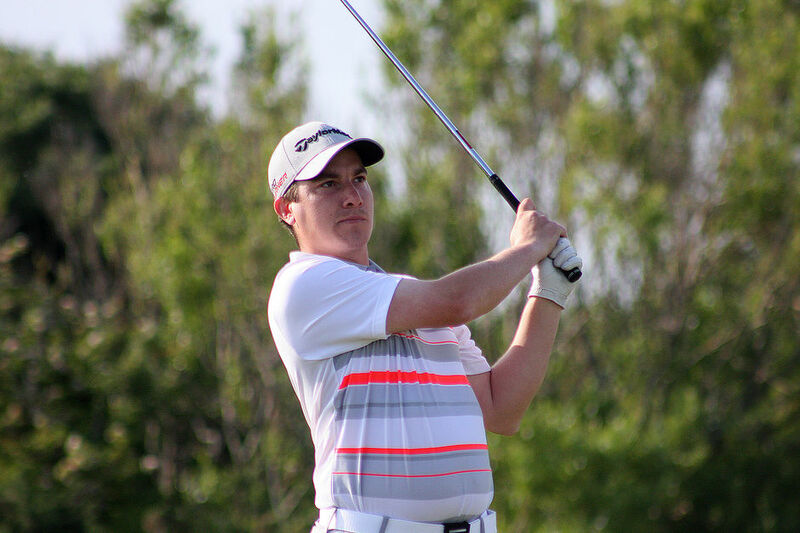 And while the former Europro Tour player who spent one year trying to carve out a career in the paid ranks in 2009, still has ambitions to play for his new county, the two trophies he has won polished off a fine first season after his switch over the border. Colin said. “To win the Order of Merit was a thrill. I won the Surrey County Championships and their Order of Merit back to back before turning pro, so to win the Hampshire one in my first year back was pleasing. “I started the season not really knowing what to expect having played no golf at all – aside from one men’s open and probably 15 rounds maximum since I stopped playing professionally in 2009. “Since then I have started a new career, got married and had two kids so golf has not been a priority at all. 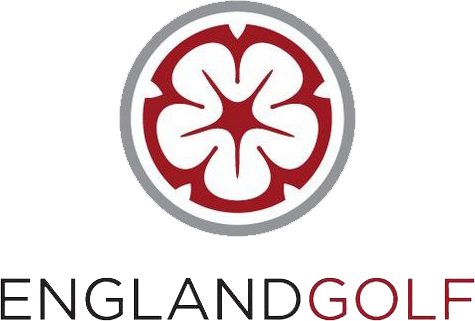 “Joining Blackmoor was a really good move as I was so unfamiliar with the course that my concentration levels improved as I was not going through the motions as so many do when playing a course they are over familiar with. “I finished ninth in the Delhi, at Hockley, back in May despite playing terribly and only a good attitude kept me going. “After that I realised I should be able to compete if I committed some time to practice. “I know I am not the best player in Hampshire – far from it. There are some incredibly talented individuals in the county who are miles ahead of me. “That said, on my day I can compete and be there or thereabouts and that gave me additional motivation. Roope flagged up his potential to the county selectors when he qualified in sixth place at the county championships at Hayling back in early June. He then, ironically, ended Darren Walkley’s hopes of retaining his county crown in the matchplay, with a superb putting display in a shoot-out over the links overlooking the Solent, in near perfect scoring conditions. No player has won both the Surrey and Hampshire County Championships in more than 100 years but after beating the defending champion it took county colts captain Tom Robson, from Rowlands Castle, on his way to a second final in a row, to deny Roope that glory. Roope went into the Courage with an eight-point lead over Shanklin and Sandown’s Jordan Sundborg. But it was the latter’s Isle of Wight clubmate Ryan Harmer who confirmed in his place in the Hampshire team for this week’s England County Finals with victory at Hockley, Roope’s only other rival was Stoneham’s Ryan Henley, who was second in the Delhi – an event he won five years in a row before Walkey’s win there on the way to victory in the first Hampshire Order of Merit in 2014. But a third place finish in the Courage left him runner-up in the season’s race for the Quaich 41/2 points behind Roope, whose total of 371/2 points in the nett table, left him clear of Blackmoor’s Ben Lobacz, on 30 points. Roope added: Playing events in a new county has been a good experience as I have played a number of events and courses for the first time. Roope will be presented with his two trophies at the Hampshire Golf AGM at Brokenhurst Manor Golf Club on Thursday 15th December. Click here for a list of the eleven qualifying events ( additional points are awarded for aggregate scores in the Solent Salver and Cole Scuttle ). Congratulations to Hayling's Darren Walkley (Gross) and Brokenhurst Manor's Ryan Harmer (Nett) on winning the 2015 Hampshire Golf Order of Merit. For Darren it was a successful defence of the OM title he won in 2014. 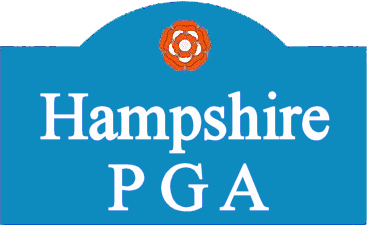 2014 Hampshire Golf Order of Merit Result, click here for final standings. Congratulations to Darren Walkley (Hayling) on winning the inaugural Hampshire Golf Order of Merit. Luke Russell (Southampton) wins the Nett OM, Congratulations Luke! Congratulations to Romsey's Owen Grimes (Gross) and George Nicholson-Jack (Nett), who won the Hampshire Golf Junior Tour Order of Merit. Click here to see leading scores. Click here to see the list of thirteen Junior Opens that go to make-up the Junior Tour. 2015 Junior Tour Order of Merit. Congratulations to Lawrence Cherry (Stoneham) and Christian Lindgreen (North Hants) for winning the 2015 Gross and Nett Order of Merits respectively. 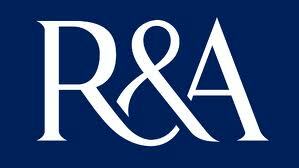 Prizes will be presented at the Junior AGM at South Winchester GC on Sunday 17th January. Click here for the leading scores. The full result will appear here in due course.